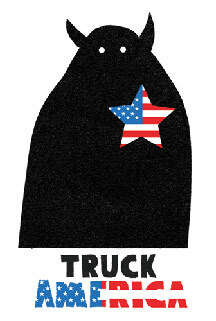 Truck America takes place this week in upstate New York! Even though it can be hard to get to upstate New York, the area is gorgeous. If you need an excuse to visit, consider this weekend's Truck America festival that starts this Friday, April 30 to Sunday, May 2 at the Full Moon Resort in Big Indian, NY. Tickets are $120 for all three days or $37-$46 for an individual date (depending on which day you pick). 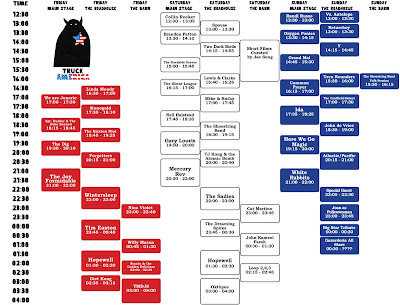 This year's performers include Mercury Rev, The Joy Formidable, Here We Go Magic, Hopewell, White Rabbits, and more. 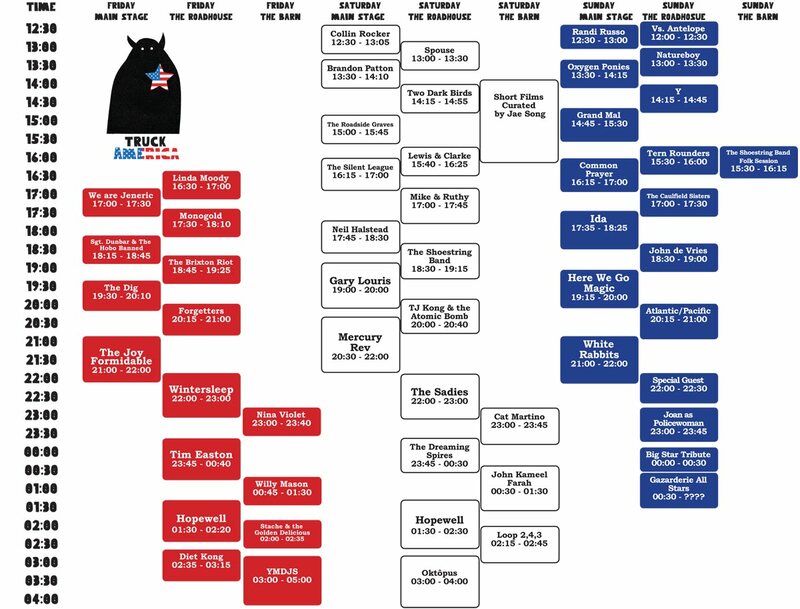 If you're having trouble picking a day and can't afford the three day pass, check out the schedule, which is available after the jump.